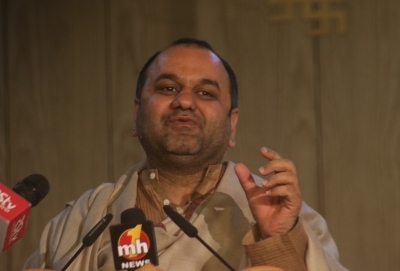 New Delhi, Nov 24 (IANS) BJP Natiobnal Secretary Mahesh Girri on Saturday accused Delhi Chief Minister Arvind Kejriwal of negative politics in the national capital and criticized him for not fulfilling his poll promise of installing CCTV cameras. "The whole Delhi remembers Kejriwal's promise to install CCTV (close circuit television) across the city. But there is a huge difference in what he preaches and what he practises," the East Delhi MP said. He said Kejriwal was not concerned about "security, safety and convenience" of people of the city. Girri's remarks came soon after he inaugurated second phase of CCTV cameras installed from his MPLADS funds in East Delhi's Mayur Vihar area. Girri said so far he has provided Rs 8.91 crore from his MPLADS funds for installation of CCTV cameras in east Delhi.